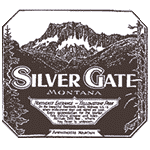 For the last 19 years, Silver Gate Cabins has been offering our clients affordable prices on Yellowstone lodging and cabins. Open from May to October, most cabins have down comforters, kitchenettes and bathrooms with showers. 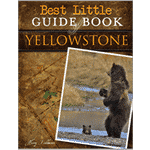 We are only one mile from the Northeast Entrance of Yellowstone, and offer some of the most convenient Yellowstone lodging you'll find in the area, nestled between Yellowstone's Lamar Valley, Montana's Beartooth Mountains and the Wyoming Sunlight Basin. At an elevation of 7,400 ft, we are surrounded by the most majestic peaks in Montana, some soaring to over 11,000 ft. Location. Silver Gate is the most beautiful, slow-paced gate town surrounding Yellowstone National Park. Comfy, cozy beds. Read our reviews and you'll notice our beds mentioned over and over again. We went the extra mile on our mattresses and have the coziest down-comforters to contrast our brisk mountain nights. An authentic, homey feel. We don't strive to be the Four Seasons, but rather to maintain the rustic, comforting charm of our cabins originally built in the 1930's. While modernized, we strive to maintain that authentic Montana cabin feel. Our cabins are divided into three tiers, with different levels of amenities: Silver Gate Cabins, Pine Edge Cabins, and Whispering Pines Cabins. Silver Gate Cabins being our most modern, spacious cabins and Whispering Pines being our most rustic, smaller cabins. All cabins have showers and bathrooms, most have kitchens (the exception being some Whispering Pines Cabins). All cabins also have charcoal grills and nearby fire pits, as a night around the fire, under the stars in Silver Gate is an experience nobody will soon forget. We also encouraged our guests to join us in The Range Rider's Lodge—once the largest log cabin in Montana. Located steps from your cabin, the Rider's remarkable interior and lounge with games and a low-key bar will be open from 6-10pm nightly this summer. Lastly, there is no wifi or television in our cabins and no cell phone service for miles in either direction surrounding Silver Gate We like it this way! However, we do have limited wifi via satellite at our General Store and high-speed internet is available three miles up the road at the Cooke City Chamber of Commerce. Go ahead and book a cabin online! Or call our reservation line any day between 9am and 6pm and we'll gladly help you pick the right cabin for your stay (1-406-838-2371)! This is the best place on Earth. Would love to keep going every year, you see something new every time you go out there. Great food. Lovely surroundings. Fun people. We recently stayed in the Back Cabin at Silver Gate Lodging. It was absolutely PERFECT! The cabin was clean, cozy, and comfortable. The town has a straight-out-of-a-movie quaint feeling about it. The locals were friendly and helpful. Our 5 days in Yellowstone were our best trip there yet, due to how close to the park we were. We cannot wait to return and stay in "our cabin"...which will definitely become a new family tradition!!! Great birthday weekend.. Loved our cabin. Fantastic cabins, awesome staff, will definitely be back! Very nice cabins. Comfortable, cozy and great accommodations. Friendly and knowledgeable staff. GREAT LOCATION. Variety of Wildlife. Next Door to Yellowstone National Park.